This is the fourth installment of a six-part series focusing on the 2014 Red Sox Pitching and Offense. 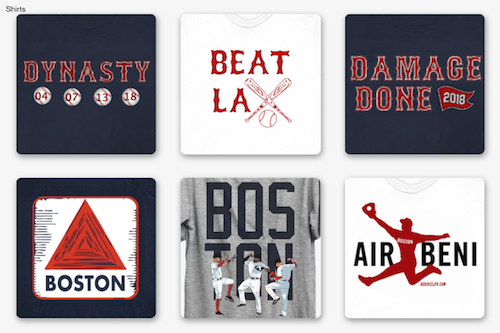 While there will be a brand new, shiny World Series banner flying above Fenway Park this season, the 2014 Boston Red Sox will have some holes to fill through the starting nine. Gone are Jacoby Ellsbury, Jarrod Saltalamacchia and, most likely, Stephen Drew. With most of the middle of the field changed, the 2014 Red Sox will inject youth – Jackie Bradley Jr and Xander Bogaerts – and add some veteran presence - A.J. Pierzinski and Grady Sizemore - into a lineup that led all of baseball in runs scored (853), total bases (2521), doubles (363), RBI (819), on-base percentage (.349), slugging (.446) and OPS (.795). While manager John Farrell will have some lineup experimenting to do during spring training, the bulk of the order will remain the same. SS Stephen Drew: Drew remains an unsigned free agent after turning down the Sox $14.1 million qualifying offer. It looks like Drew’s agent, Scott Boras, may have over-estimated Drew’s value. He could return to the Sox, but at a much reduced rate. INF John McDonald: The journeyman played for four teams last season, including six games in Boston going 2 for 8. He signed minor league deal with the LA Angels. INF Jonathan Herrera: Herrera was picked up in the trade that shipped reliever Franklin Morales to Colorado. In parts of five seasons with the Rockies, Herrera has hit .265 with eight home runs and 66 RBI. 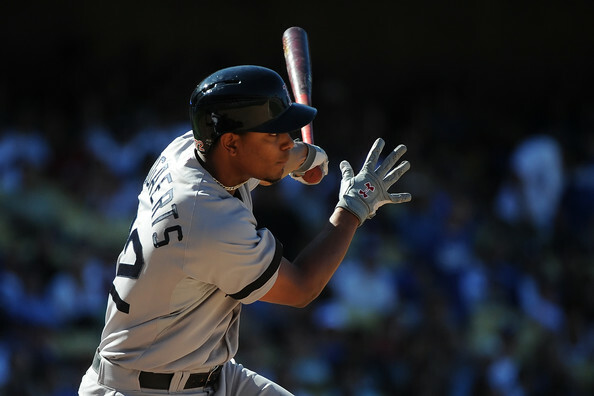 SS/3B Xander Bogaerts: The 21-year-old Bogaerts is one of the top prospects in all of baseball. In the Sox postseason run last year, Bogaerts was 8 for 27 (.296) with four extra-base hits and nine runs scored. 3B Garin Cecchini: Most likely Cecchini needs more seasoning in the minors, but hit .322 and had an OBP of .443 (tops in the minors) while splitting the year between High-A Salem and Double-A Portland. 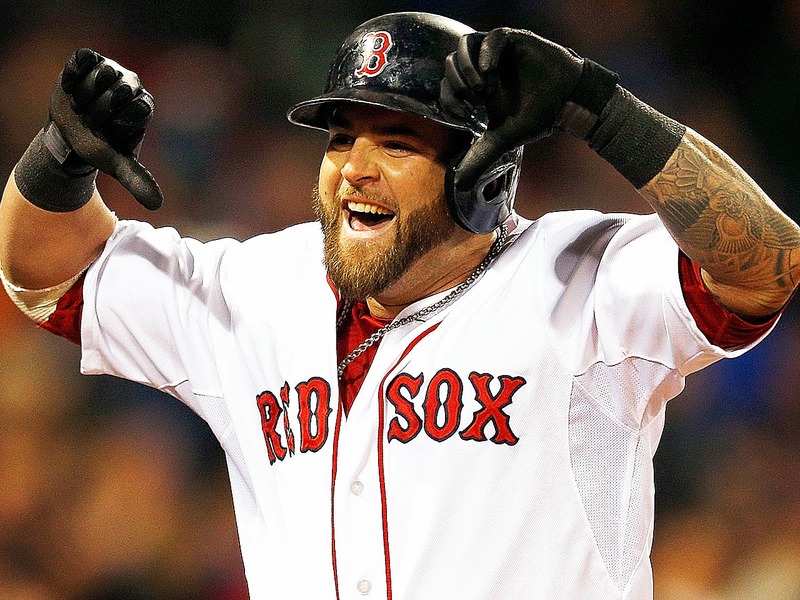 Any concerns Red Sox Nation had concerning Mike Napoli’s hip and his transition to first base were forgotten after a solid season at the plate (he was second on the team with 23 homers) and a gold glove caliber year in the field. Nap re-signed a $2-year, $32 million contract in the offseason. 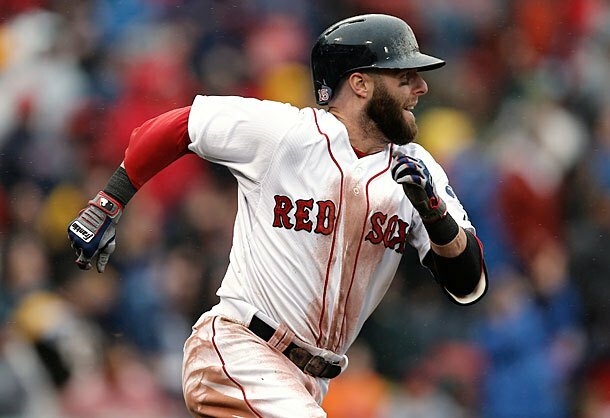 Despite playing the entire 2013 season with a torn ligament in his thumb, Pedroia started all but two games. While the injury seemed to sap Pedey’s power last year, he did have almost 200 hits and won his third gold glove. 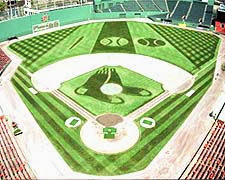 We know the play in the field will be solid again in 2014 and a return to 15 homers this year isn’t out of the question. Red Sox Nation thought 2013 would be Middlebrooks breakout year. It wasn’t. Middlebrooks found himself back in the minors in June. While he did fight his way back in August, eventually hot prospect Xander Bogaerts was the starter in the World Series. 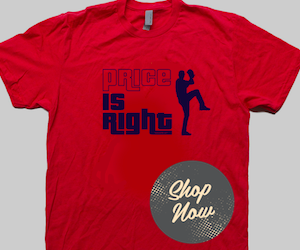 2014 is Middlebrooks make or break year and the trade rumors have already started to heat up. The X-Man has finally arrived. The Red Sox most exciting prospect since Nomar Garciparra is also one of the teams biggest question marks. Will he make a run at the rookie of the year award or will he be overwhelmed by the bright lights of Boston? After seeing how Bogaerts handled himself on baseball’s biggest stage – the World Series, it’s hard not to buy into the hype. INF Brandon Snyder: Snyder hit .180 in 27 games with the Sox last season. SS Deven Marrero: Red Sox Minor League Base Runner of the Year after stealing 27 bases in 29 attempts between Class-A Salem and Double-A Portland. INF Mike McCoy: The 33-year-old spent last season in the Blue Jays minor league system hitting .245 with 29 stolen bases. INF Heiker Menesses: The 22-year-old second baseman enters his seventh season in the Sox system, this will be his first taste of big league camp. 1B Travis Shaw: Shaw tied for third among Sox minor leaguers with 16 homers at Portland last year. State of the Sox: Starting rotation, the bullpen, closing time.